Uber's past behavior hasn't helped its case with Transport for London but does revoking its license send the wrong message about the capital? Andy Pemberton, director of Furthr, has been a vocal denouncer of Uber and its corporate practices. For him, TfL's decision comes as no surprise. "This is not a shock. No matter who the chief executive is, Uber will never ever work. Like Napster, Uber is a good idea, but it's predicated on rule-breaking so it can't survive," Pemberton said in reaction to TfL's decision to revoke Uber's license. "I'm not surprised Alphabet (Google's parent company) are investing $1 billion in Uber's competitor Lyft. Whoever comes along next will win the ride-sharing space – if they can do it legally," he concluded. Beri Cheetham, executive creative director at The Gate, also believes the move is a "long overdue kick up the arse" for Uber. "Service has become poor, with cars circling like headless chickens and drivers feeling taken for a ride by their employers. There’s something grubby and greedy about Uber, and they’re finally being found out," Cheetham said. Others in the industry, however, were less prepared for this move. "Wow, and triple wow," Jim Prior, chief executive of The Partners, said. 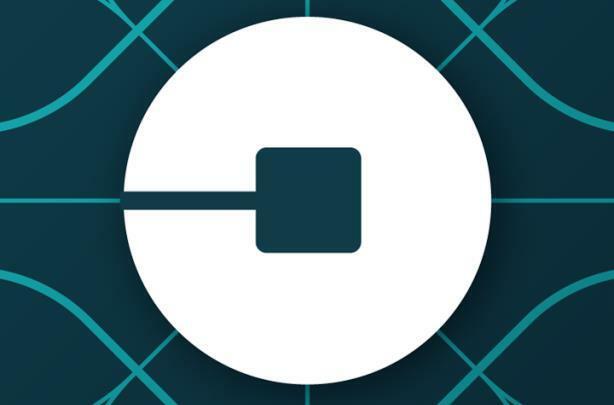 "When you run a company in a way that people can easily and rightfully criticize or dislike – such as Uber has – it impacts your brand fundamentally. Would TfL have rejected the license for an equivalent service from a well-run, socially progressive company that demonstrated real care for its staff and for the world it operated in? In my opinion, no." Prior added that the decision, however, may not be in the best interest of Londoners in the long term. Johan Hogsander, MD at digital consultancy Transform, added that for the tech sector, this is not the message London wants to be communicating. "We have Brexit on our doorstep. The impact of this is not going to be good for London in the long run. Other disruptors will now be sitting up and taking notice and they won’t like what they see – that their business could at any time be undermined by regulatory or political decisions," Hogsander said. Furthermore, consumers and businesses are not going to like this decision, he argued. "The demand for travel outstrips the supply to such an extent that Uber is going to leave a black hole in transport, resulting in longer journey times and a higher number of cars on the road." This move could even negatively impact London's economy, Jane Asscher, chief executive and founding partner at 23red, noted. "There will be an inevitable impact on tourism revenues and innovative businesses and tech start-ups might think twice about coming to London." Can Uber stage a comeback? Unlike Pemberton, Prior expects Uber to reverse TfL's decision eventually. "But as they look to the future they do need to have a long, hard look at their business as a holistic proposition and consider how their brand is a much, much bigger thing than an iPhone app." However, Uber has a long hard slog to get back into the good graces of the UK public. The Reputation Institute, which has a research tool that tracks corporate reputations, has found that perceptions of the company are weak, specifically in the areas of workplace and governance. "In addition, the UK public would be unlikely to give Uber the benefit of doubt and they would not trust them to do the right thing," said, James Bickford, managing director at the Reputation Institute. Hogsander too believes that Uber must fix the non-tech parts of its ecosystem, especially its public relations and attitude towards official bodies. "Essentially, they just don’t fully appreciate the complexity in the market they operate," Hogsander noted. While Uber's appeal is in motion, Hogsander isn't sure that Uber can make remedial steps without undermining its own business model. "Uber has been so successful because it delivers efficient service at a low price – if they are forced to change their model and become more like other businesses, you may take away the essence of their success: automation," he concluded. With only 21 days to appeal Uber has to get its house in order fast, agree industry leaders. "With a new chief executive now in place, they’re in a good position to do it – Londoners shouldn’t worry about how they’re going to get home at 3 a.m. just yet," Justin Small, chief strategy officer at The BIO Agency, said. Others are far less optimistic about Uber's chances. "With the business not making a profit and in danger of going broke, the loss of 3.5 million customers and the damage to brand reputation means time is running out fast," Asscher said. Furthermore, the competition is circling, Parry Jones, COO at The Specialist Works, observed. "The marketing departments at My Taxi, Gett, and Kabbee should be mobilizing fast. As should any newcomers to the sector. This is their opportunity to steal market share. Even if Uber manages to overturn the ruling, this decision will damage their business. Londoners will be downloading competitor apps as soon as they hear the news," Jones said.